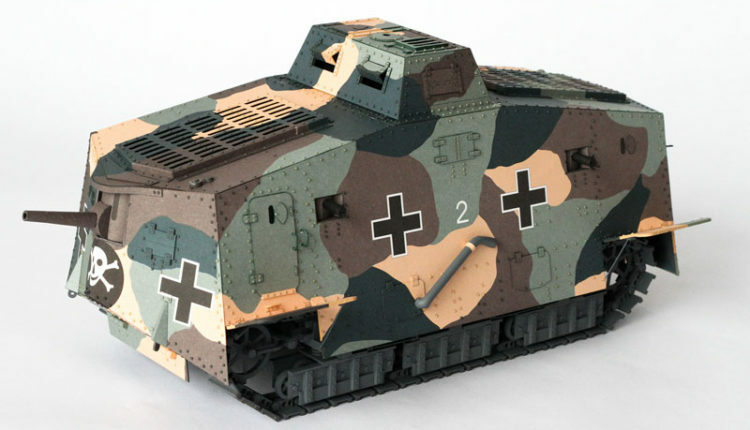 The only tank designed and manufactured by the German Empire during World War I. 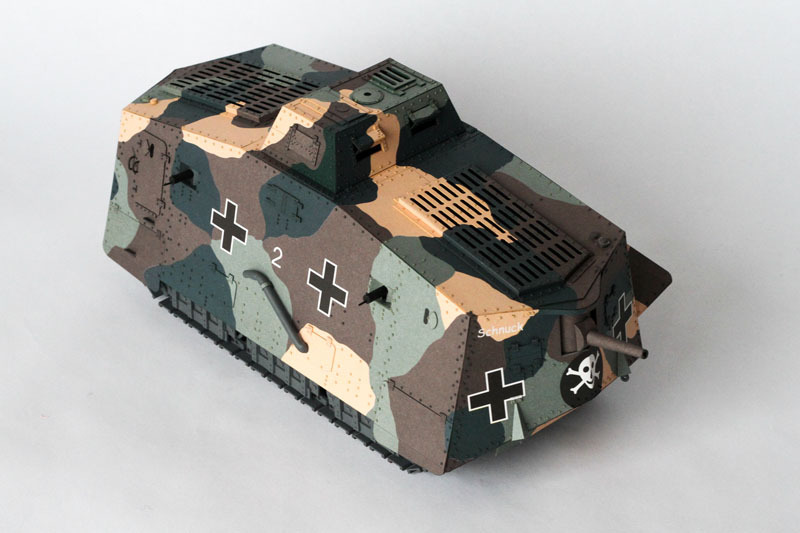 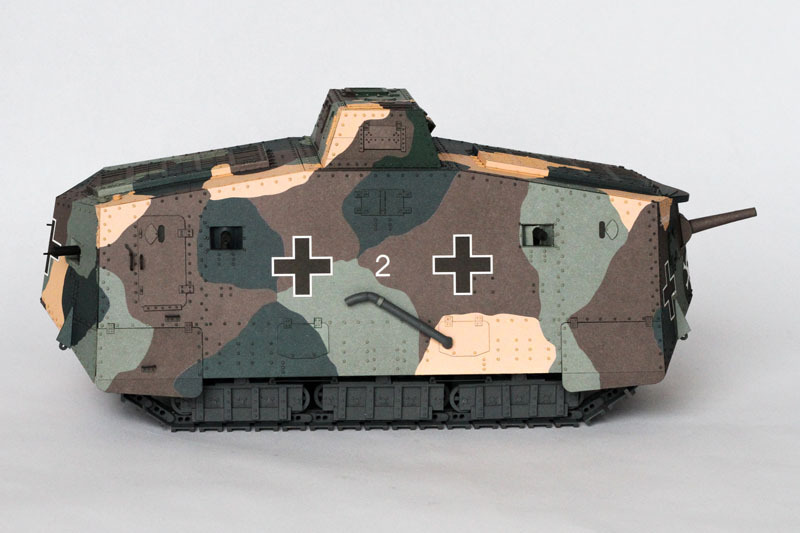 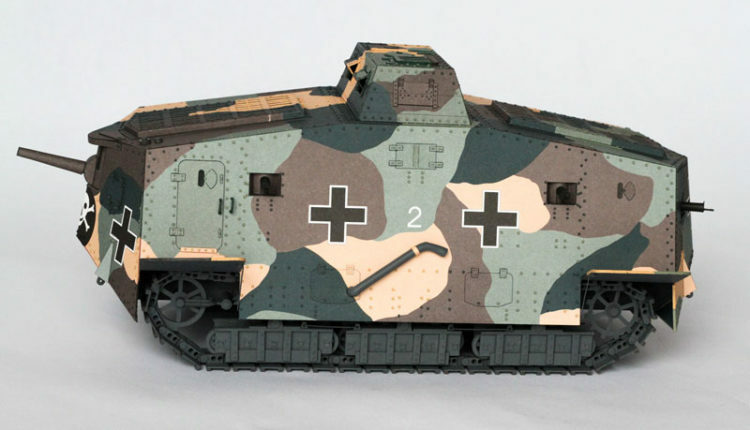 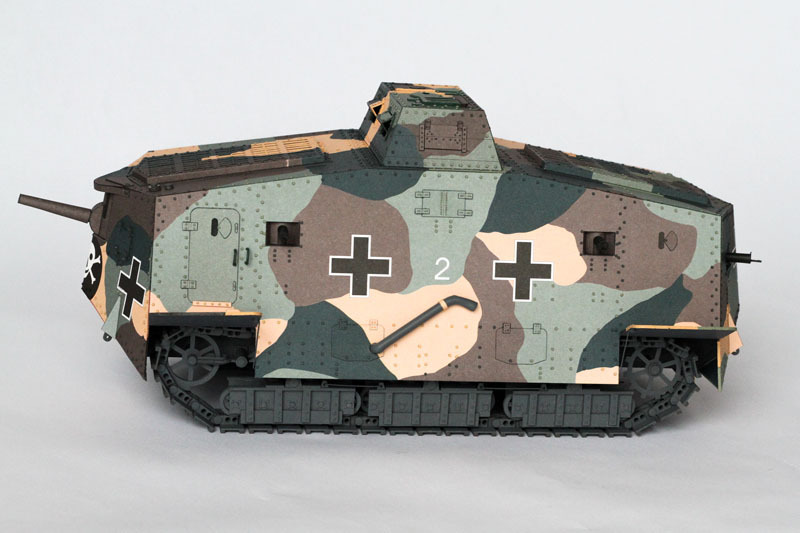 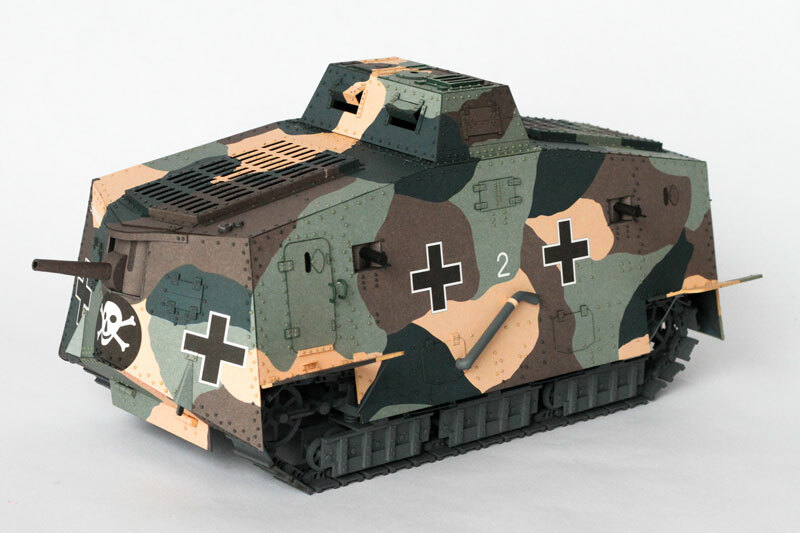 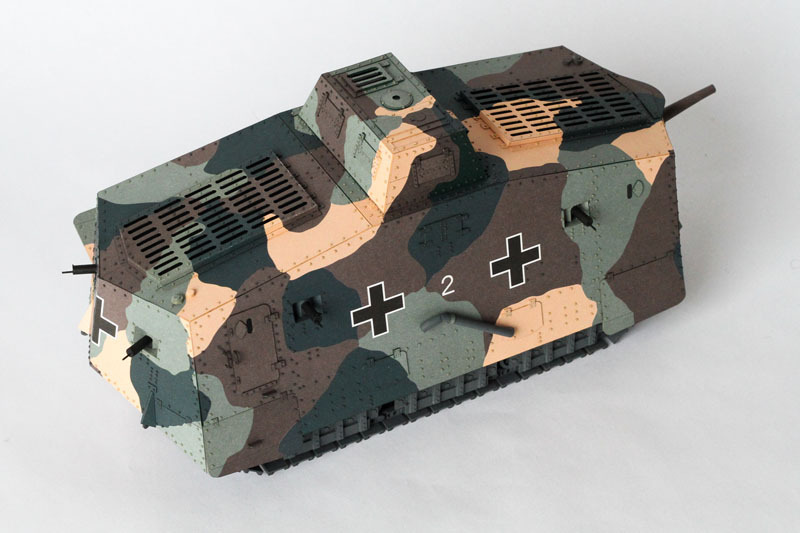 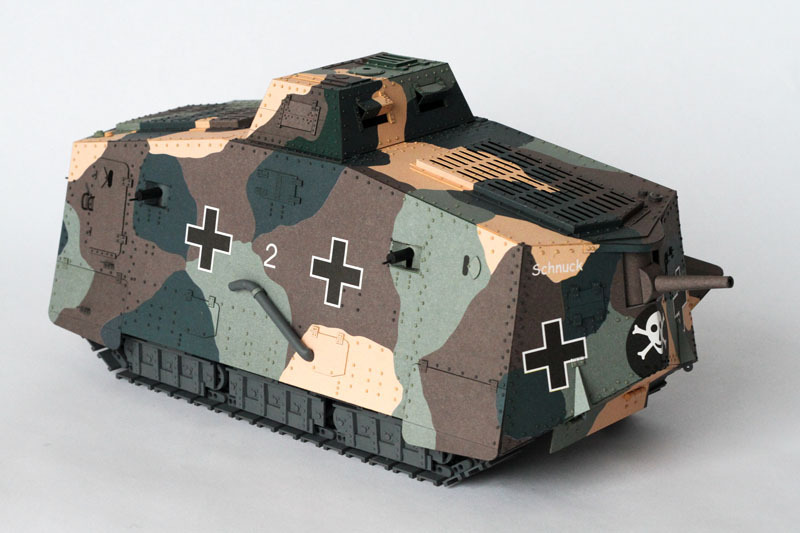 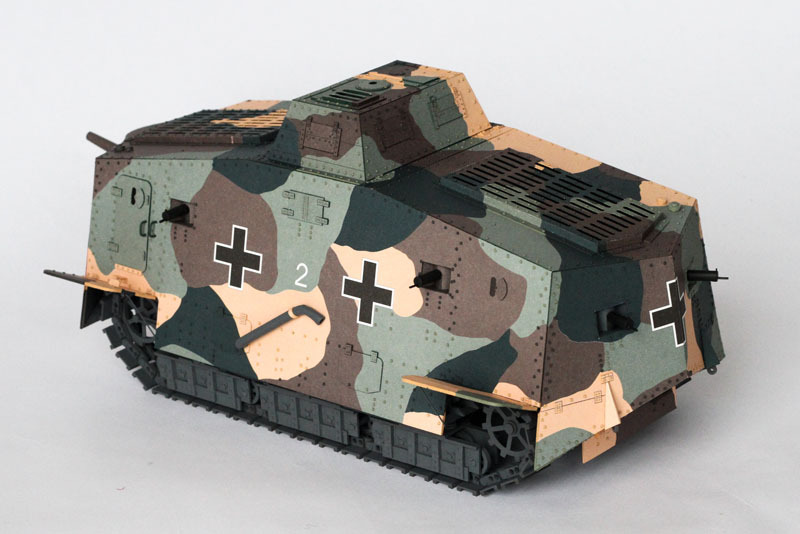 Planning for the construction of the A7V began as early as November 1916, but due to initial technical problems and lack of spare production capacity, the first produced units took part in the fights in March 1918. 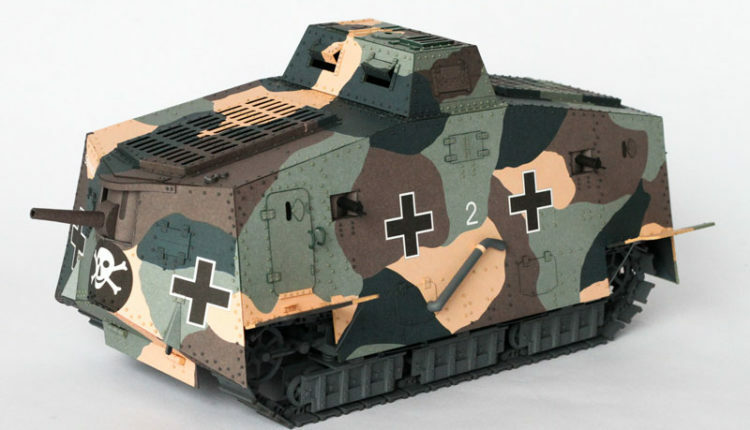 Although the German command ordered 100 A7V, by the end of the war only 20 of them had been completed. 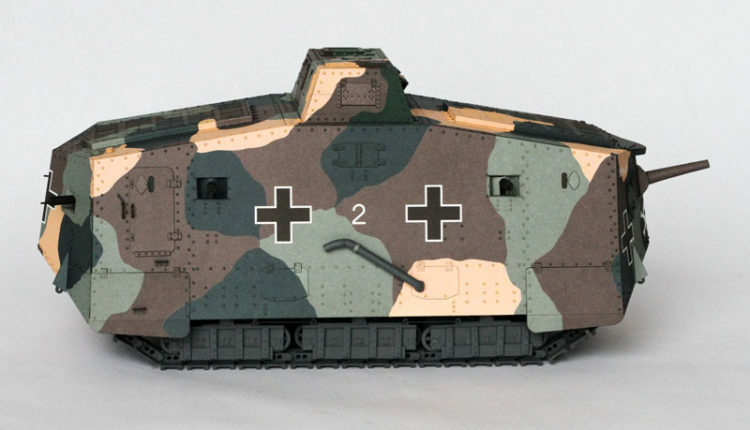 This tank was 8 meters long, over 3 meters wide, weighed 32 tons and was driven by two 100 hp carburetor engines, which allowed the German colossus to be rushed to crazy 12 km/h (and so it was faster than the British Mk IV). 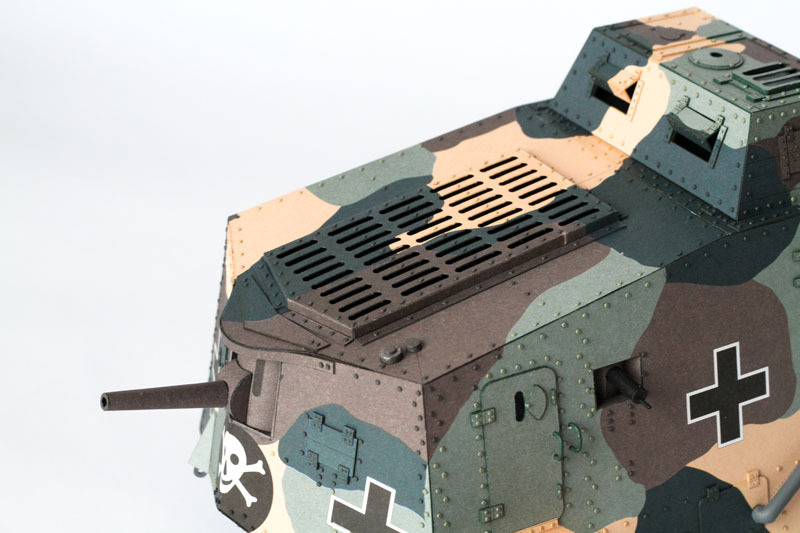 The armament consisted of a 57mm Nordfeld cannon and six 7.92mm machine guns. 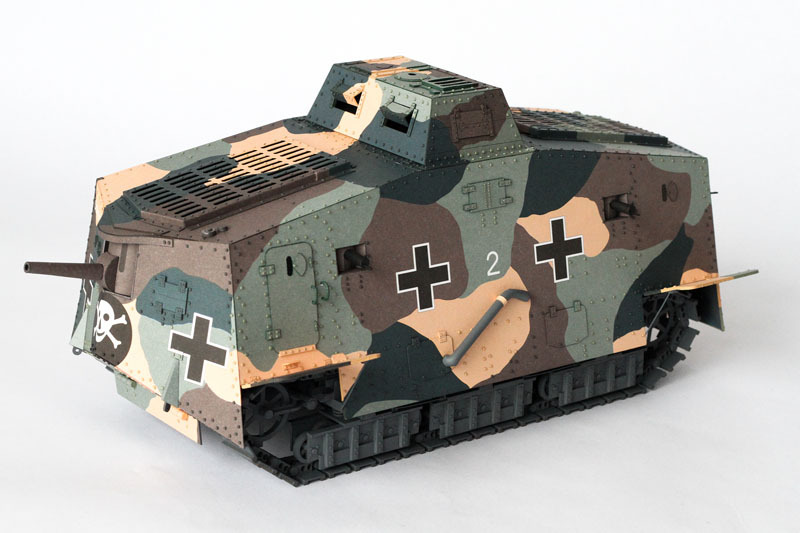 The A7V crew consisted of as many as 18 people and was protected by armour up to 30mm thick. 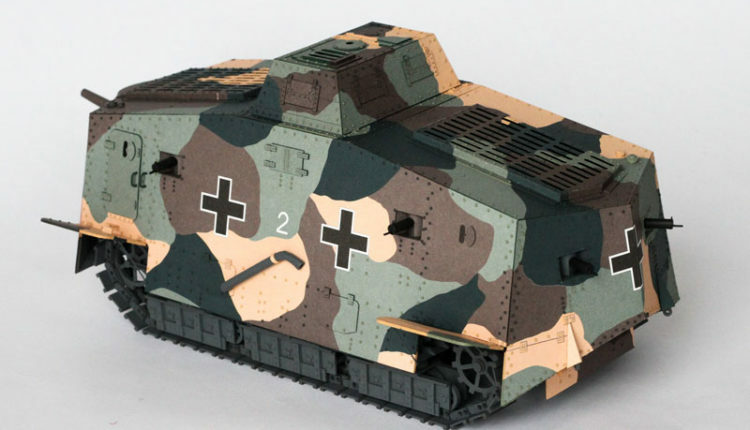 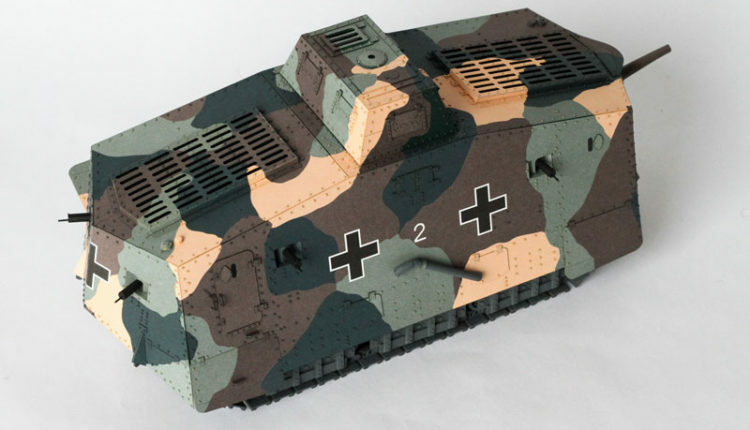 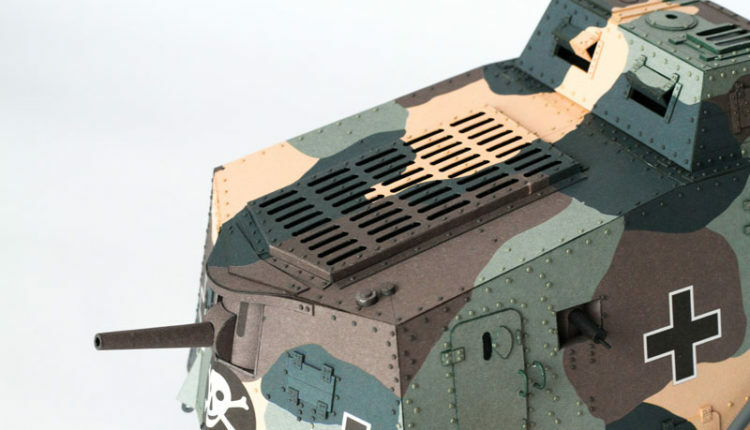 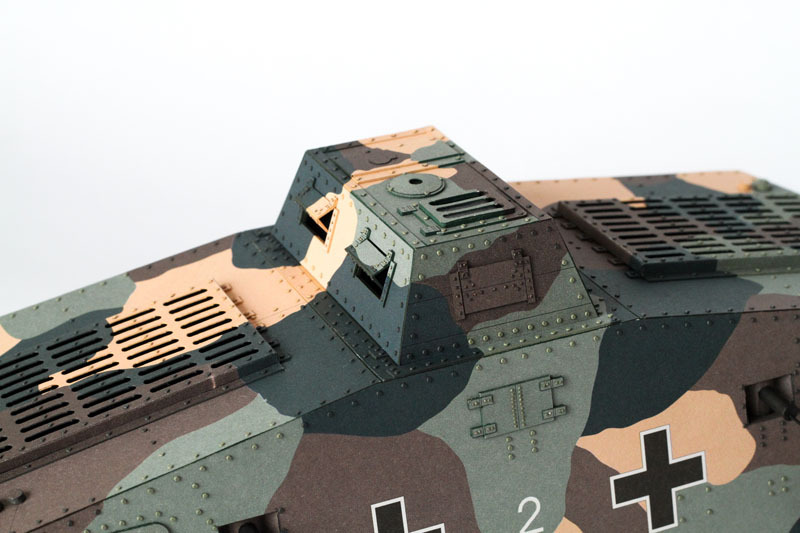 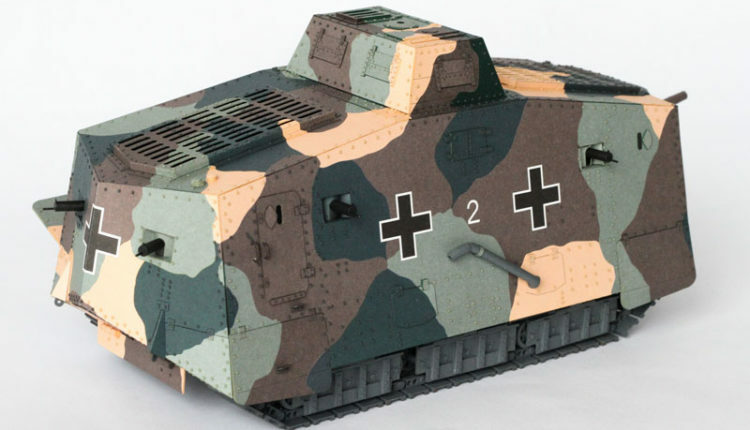 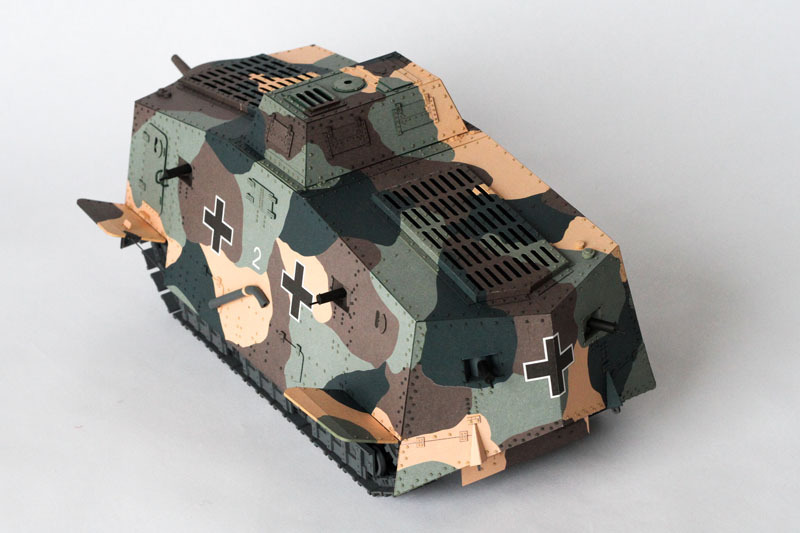 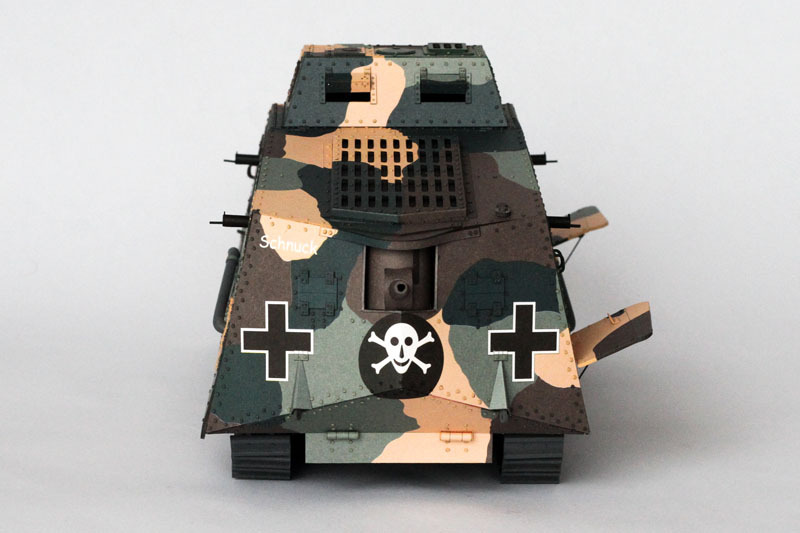 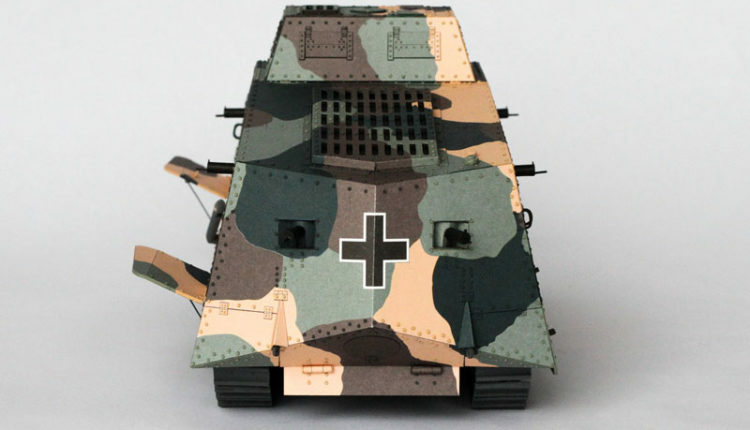 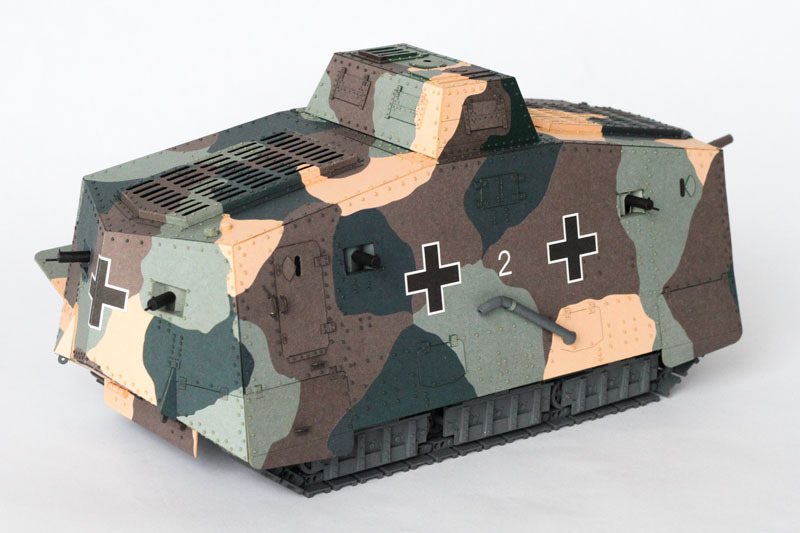 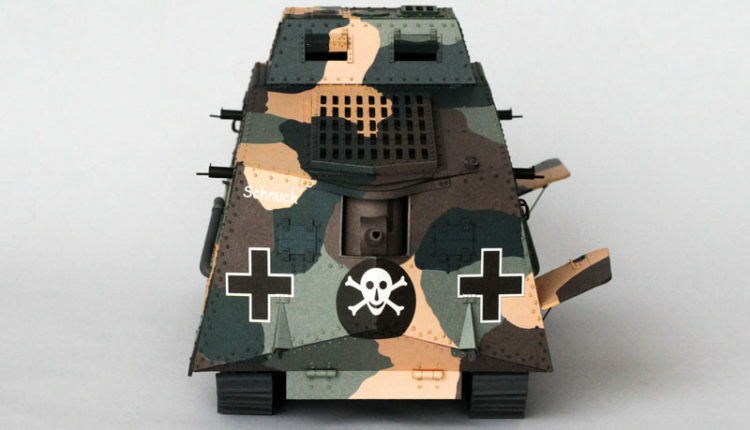 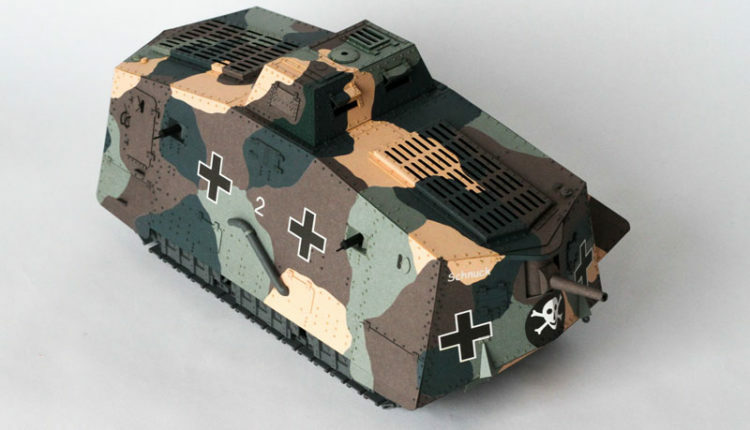 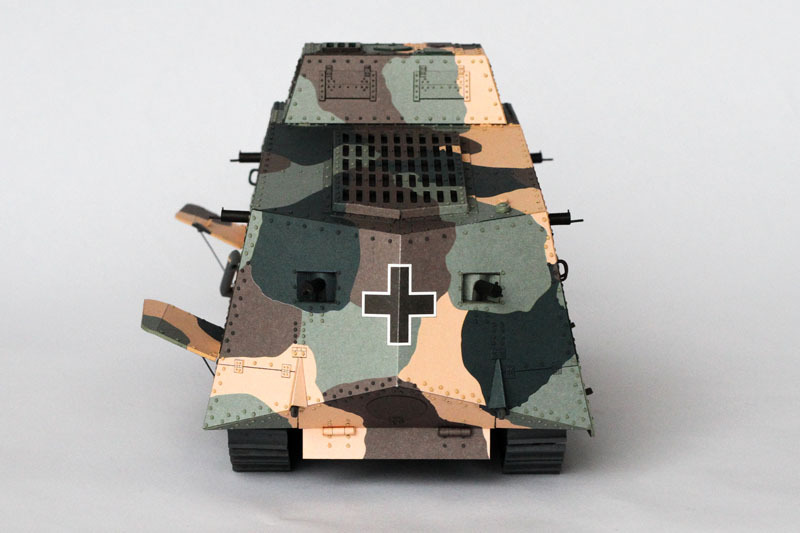 Although the A7V entered the service quite late, it managed to recognize itself as a vehicle with a powerful firepower and satisfactory armor. 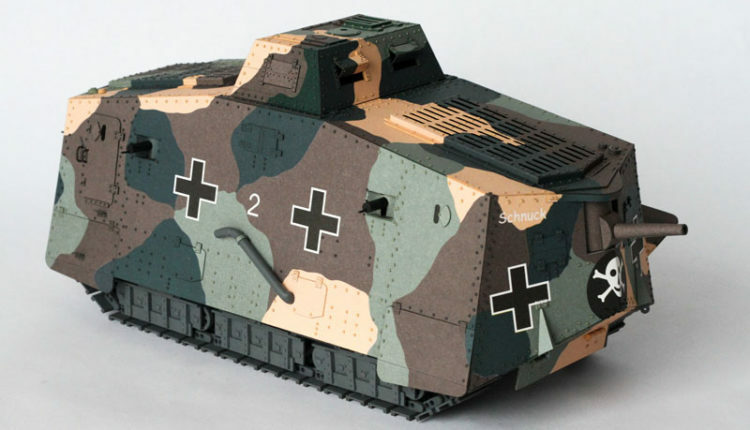 However, it was not free from defects – due to its mass it was slow and not very manoeuvrable, it often broke down, and in addition, during the fight the temperature in the combat compartment quickly became so high that it made it very difficult for the crew to carry out combat activities. 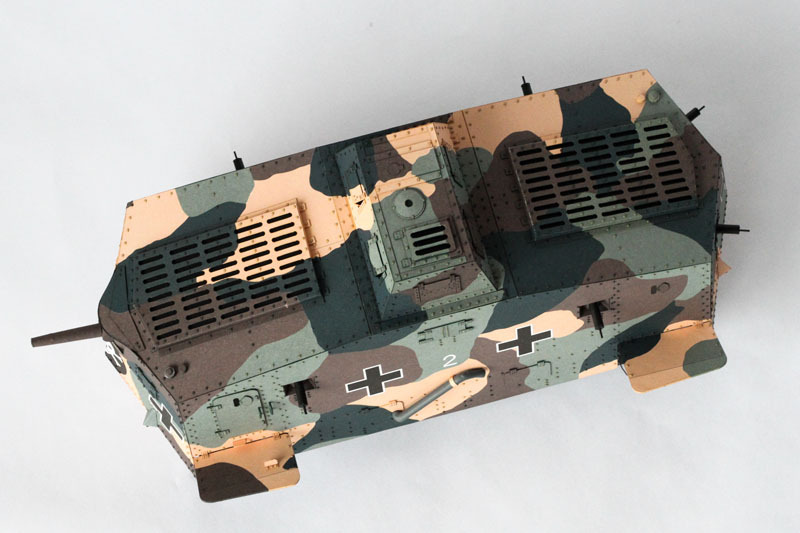 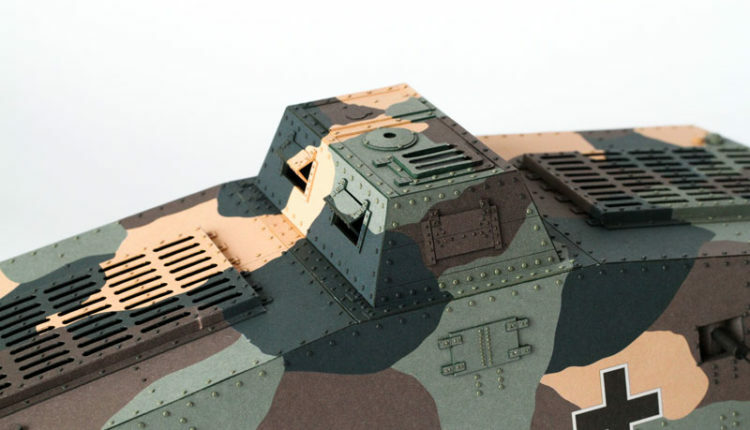 This highly detailed paper model was prepared by Mr. Wojciech Kruszyński.